this might be jumping the gun alittle : P is the ts program you use with the game open mic or push to talk .. and if its push to talk.. does annyone have "cheated" and made an Voice attack profile for the game? : P or is that too much cheating? TFAR has a few different elements. It knows where you are in game, and will adjust your volume according to where players are in relation to you to simulate being able to talj to a guy next to you in real life. There is also a radio feature. For simplicity i wont go into multiple radios ir simplex/duplex, but essentialy you have a PTT button for your personal radio, default is CAPS LOCK, which you can tune to a particular frequency to talk to a specific person/group of people. The quality of your transmission is effected by range, terrain, trees, building etc. just like a real radio. 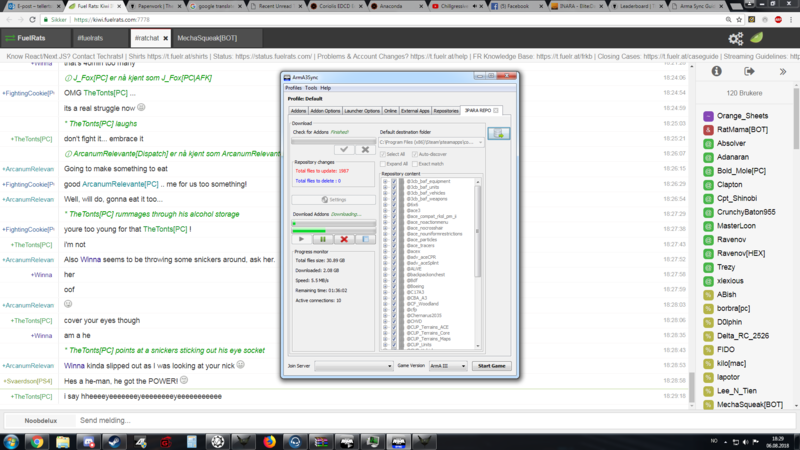 All this is separate from your teamspeak settings. If you use PTT in teamspeak you will still need to press that key in order to use the features above. I'd recommend voice activation for arma to make life easier, there's enough buttons to worry about already. Are you talking about radio frequency jammers? As Dave said voice activation is a lot easier in game, out of game it's upto you with PTT or not. I think voice attack is gonna be a bad idea tho as sometimes we have to be quiet and the AI can hear us speaking they don't understand us but will respond to us either by aggressive actions or they will setup an ambush or flank around etc. I use voice activation for TS. Found voice attack is awkward to use in Arma and gave up on the idea. Agreed with Pana, VoiceAttack has very limited uses in Arma. I use it for Autorun feature (I'm too lazy to hold button) and to duplicate commands with character gestures, but that's it. Voice activation for radio is only good if you have good enough mic, so it won't trigger over keyboard hits, breathing, etc. Otherwise stick to PTT, that's not a big problem.